What I’m Watching – Queer Eye Season 2! I was a taken aback by the response. The report that I requested is run frequently for other uses so I thought it was a reasonable request. In my initial reaction, I was upset because I know our residents don’t see departments. They don’t see our different divisions and department budgets. They see the “City” with a capital C. I was a little peeved that I would have to figure out another way to get the report and more peeved at the lack of cooperation from another department. I needed time to cool off. I got to thinking of what could warrant such a terse response and reflected on my reaction. How do you tell someone that it is not your job to do something? How do you tell someone that it is their job to do it or that you are not willing to take the time to find the right person they should be asking? Situations differ. Too many people may be reaching out for help which could distract from the person’s own duties. We all have our own responsibilities and our own roles; but for the most part, we are willing to help a coworker. How do we avoid saying “it’s not my job”? One solution, don’t do it. It is too easy to think that declining to help a coworker is faux pas. By not helping, we risk looking like we are not a “team player” or working for the greater good. This is part of learning how to say no. Refusing outright with “that’s not my job” is a fast-lane to burning bridges and losing support from coworkers. We need to recognize that job descriptions are not comprehensive and staff often ends up filling roles they were never truly assigned. We should consider other ways to divert the request. Every situation is different. Some might require an explanation outside your scope. Some might be handled better by another person. If are doing more than you feel comfortable doing, it may be time to talk to a manager. I still needed to get my report finished and knew it would take much longer to compile the information on my end. This meant that if I needed to use the report information, I would have to learn how to run it myself or learn how to make my request easier to fulfill. I reached back to the manager and apologized for assuming it was something commonly requested and explained my request with more specifics; mission accomplished. It was a reminder to be cognizant of how we ask for something and how we deny requests. We have to focus on what is important to deter from distractions, but not burn bridges with fellow staff. Here’s Steve Jobs saying the same thing 20 years ago. 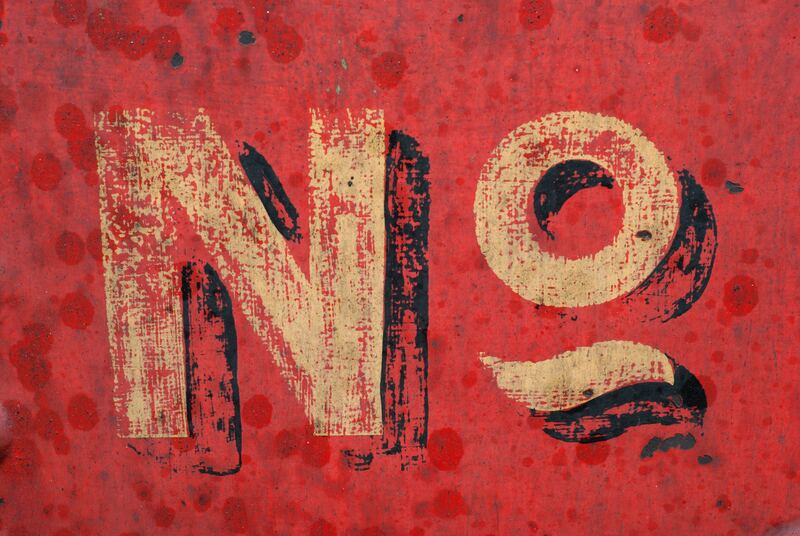 Too Long; Didn’t Read: It is as critical to practice saying “no” effectively; and remind ourselves how to take No for an answer.